If you want to surprise a special woman in your life, this is the gift for you. 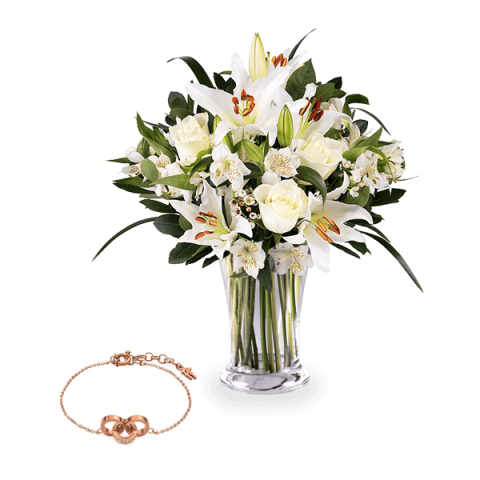 A bouquet of white flowers accompanied by a stainless steel bracelet, bathed in pink. The recipient will be speechless and will always remember this wonderful surprise.